Jeff Knueppel refers to the railroad he runs with language reminiscent of "Humpty Dumpty," speaking of broken pieces that need to be put "back together." Knueppel is a stickler for punctuality. He likes meetings to begin on time and those who know him know not to be late. Fitting, then, that when he became SEPTA's general manager in 2015 he took on the task of fixing a railroad plagued by lateness. But last summer, Knueppel's big-picture vision for change was upended when the Silverliner V crisis forced 120 Regional Rail cars to be pulled from use. Knueppel, 54, suddenly confronted a critical decision: whether to postpone the installation of the new safety system known as positive train control. Knueppel had pledged to bring the automatic braking system, which would have prevented Amtrak's 2015 derailment, to Philadelphia ahead of a federal deadline. But work on PTC already had caused delays and scheduling headaches because it required train cars to be pulled from service. Forging ahead with the installation could make matters worse. Knueppel decided to do it anyway. Now, a year later, SEPTA is the first commuter rail in the country to have installed the system, which guarantees a train is traveling at safe speeds. And the system's real-time locators have given SEPTA much longed-for data, an app fit for 2017, and the power to make effective schedule changes, fulfilling some of the pledges SEPTA made in 2016 when The Inquirer and Daily News reported on the rail's lackluster on-time performance. With real-time data now coming from the trains, SEPTA managers crafting the schedules have a more accurate picture of how long it takes trains to get places and commuters can see twice-a-minute updates on the app — perhaps the biggest game changer for rail commuters in the last two years. This week, we are examining what has changed since then and what remains to be done on the commuter rail that transports 63,000 people between three states daily. (Read day one, about how the Regional Rail is doing now, here.) SEPTA has succeeded at bringing its on-time rates up to pre-Silverliner V crisis levels, but only in the last two months has it begun to see improvement beyond that, reaching a system-wide on-time rate of 90 percent in August and September. Scheduling has been a top grievance among riders, who complained last year about schedules that they viewed as "not real" and wondered why SEPTA couldn't "make a schedule that is realistic and that they can keep." The string of schedule changes Knueppel's team has undertaken — in December, January, April and September, with another coming this winter — since the trains became real-time-equipped have re-timed routes to reduce the need to stop for other trains or red signals and changed timetables on all the lines they run on shared track with Amtrak, as well. On some lines, that did mean making travel time longer. 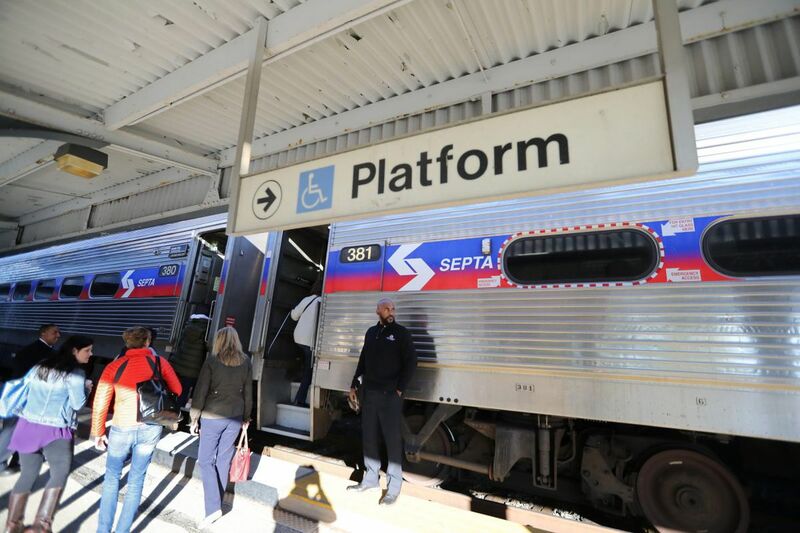 Even though adding minutes was necessary in some cases, Matt Mitchell, vice president of the Delaware Valley Association of Rail Passengers, credited SEPTA with creating a more dependable schedule rather than trying to maintain an unrealistic timetable. "You can see the work going on," Mitchell said. "You can see the deliberateness of the scheduling changes and the thinking process." Other railroad officials credit Knueppel for sticking with PTC installation. "I'm very, very envious of the fact that SEPTA was able to do that," said Joe Giulietti, who in July retired as president of New York's Metro-North commuter rail. "They've done a tremendous job and they're suffering the pain of going through it." Upgrading the SEPTA app was another major improvement. Now, a vehicle's position and distance from a stop refresh on the app every 30 seconds, eliminating the minutes riders used to wait for new information. "One thing I commend SEPTA on is their continued innovation including the SEPTA app that tells you real-time locations of buses and trains," said Tia Martin, who said the app helps her make her connection to her bus getting off the train in Norristown. "The SEPTA app is great," said another rider, Alison Evans, who also gets information from SEPTA on Twitter and has used their @SEPTA_SOCIAL account to ask questions. "I don't have to carry a paper schedule anymore." New features are expected soon, including a version that customizes itself to a rider's regular routes. Riding the rail himself (he commutes to and from his home in Bedminster, Bucks County), Knueppel likes to open the improved app and check the trains inching forward every thirty seconds. "I'm so happy," he said in an October interview. "I was watching it this morning. When I'm out riding, all I do is watch." The pieces, represented by those miniature trains on Knueppel's screen, are coming back together. Schedule changes are just one part of the equation, and the lines that share rails with Amtrak remain the worst-performing in SEPTA's system. Read about them in tomorrow's installment of this five-day series.